Our highly trained pilates instructors are certified in the Classical Pilates Method of Body Conditioning. They have completed the most rigorous Pilates training requiring at least 900 hours of physical training, education, and apprenticeship to gain the certification of an Classical Pilates instructor. Our Pilates instructors are certified and licensed by either Power Pilates™, The Pilates Studio™ or Romana’s Pilates™ in New York. Our Center and our teachers are also members of the Pilates Method Alliance™. 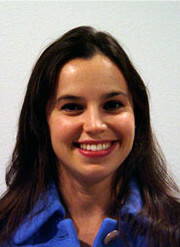 Courtney’s passion for dance and exercise brought her to a pilates seminar in 2000. From that moment on she was hooked. By 2002 she received her pilates instruction certification from Romana Kryzanowska, Joseph Pilates protégé and chosen successor, and Master Teacher Dorothee VandeWalle. With an invitation from Dororthee, Courtney went on to teach and continue studying at Metropolitan Pilates through 2005. Her dedication to overall fitness and the Pilates Method has allowed Courtney to improve her client’s well being and help them attain a healthier lifestyle. Inspired by the strength & grace Pilates provides, Courtney is privileged to help others improve their quality of life through Pilates. She went on to purchase Redmond Pilates in the Summer of 2009. Masha is originally from Russia. She studied ballet in the famous Vaganova Ballet School in Sankt Petersburg. She went on to travel the world while performing professionally with the Russian State Circus Company. After moving to the United States, Masha discovered Pilates and fell in love. She studied Pilates with world renowned Dorothee VandeWalle and became a certified instructor, by Dorothee, at Metropolitan Pilates in Seattle. Masha's extensive background and experience in movement and dance provide her the keen eye for detail that helps her clients get the most out of Pilates. 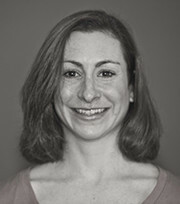 Genevieve Keelty received her level 5 IITP Pilates Teacher Certification from Romana's Pilates in 2007. She completed over 650 hours in the program apprenticing with Romana Kryzanowska at True Pilates in New York City. In addition Genevieve studied with Michael Rooks and Andrea Burkholder at Pure Joe Pilates in Washington DC. Genevieve is trained to teach both mat and equipment Pilates. Genevieve is a native of Baltimore, Maryland. She attended The Baltimore School for the Arts and completed her BFA in Dance at Butler University in Indiana. Genevieve believes movement allows the mind, body, and spirit to connect, and create a sense of peace, harmony and wellbeing. Genevieve danced from the time that she was four years old and through high school and college. After college she discovered Pilates and running. She is very passionate about running and has completed several half marathons and marathons. Pilates has given her the strength, flexibility and balance to be able to run long distances and keep her injury free. From her background as a dancer Genevieve is very in tune with proper alignment, form and technique. It is very important to her that the movements are performed with correct form and precision so that her clients receive the most benefit from each exercise. She is constantly exploring how the body can move more efficiently to become stronger, healthier and injury free. Genevieve genuinely cares about her clients and their specific concerns and goals. Nothing makes her happier than seeing her clients achieve their goals. Whitney Shannon received her B.S. in Exercise Science from the University of South Carolina and it was there that she gained a love, passion, and amazement for the human body. She firmly believes that exercise is a medicine and if administered daily can allow an individual to live a long and healthy life. Whitney trained in Atlanta under the guidance of Holly Leun Pruell and was certified in June 2013 by Master Teacher Juanita Lopez. I live an active lifestyle as a contemporary dancer and Co-founder of Coriolis Dance Collective with Natascha Greenwalt Murphy, as well as teaching dance at several studios in the Puget Sound Area. I began practicing Pilates in my teens with Aliesa George and Mei Wong of Centerworks Pilates in Wichita, KS. With Pilates’ unique method of developing long, lean muscles, it was an excellent way to cross-train and further fine-tune my athleticism. When a severe back injury sidelined my dance career for 4 years, I discovered how the modular nature and low impact of Pilates also allowed me to be physically active without pain, rehabilitating my injury and resulting in my eventual return to the stage. I received my certification from Master Teacher Dorothee VandeWalle at Metropolitan Pilates. As an instructor, I am very hands-on and give generous feedback. My approach is to collaborate with clients in order to address issues of alignment, muscle imbalances, and body awareness, molding your session to your specific needs in a way that will help you stand taller, move with greater ease, and feel better not just in the Pilates studio, but in everyday life.